The brand-new series from Amy Alward, author of the magical POTION DIARIES adventures! 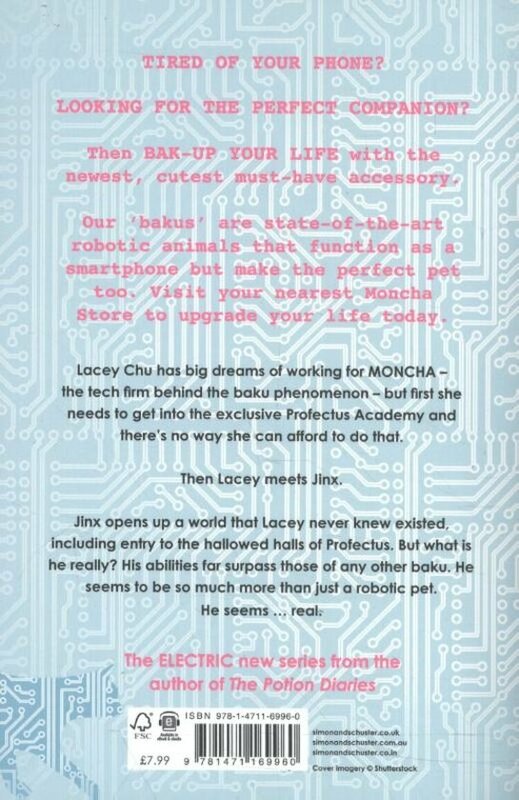 Lacey Chu has big dreams of becoming a companioneer for MONCHA, the largest tech firm in North America and the company behind the ''baku'' - a customisable smart pet that functions as a phone but makes the perfect companion too. When Lacey finds out she hasn't been accepted into Profectus - the elite academy for cutting edge tech - it seems her dreams are over. Worst of all, rather than getting to choose one of the advanced bakus, she's stuck with a rubbish insect one. Then, one night, Lacey comes across the remains of an advanced baku. Once it might've been in the shape of a cat but it's now mangled and broken, no sign of electronic life behind its eyes. Days of work later and the baku opens its eyes. 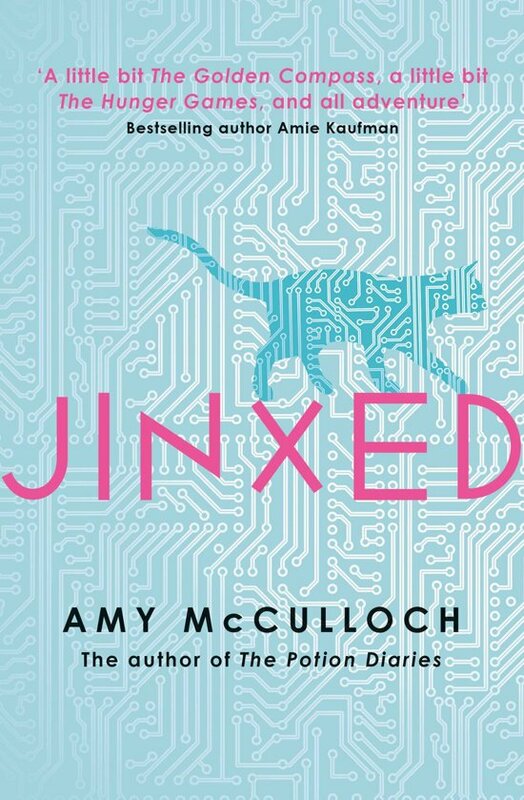 Lacey calls him Jinx - and Jinx opens up a world for her that she never even knew existed, including entry to the hallowed halls of Profecus. Slowly but surely, Jinx becomes more than just a baku to Lacey - he becomes her perfect companion. But what is Jinx, really? His abilities far surpass anything written into his code or built into his motherboard. He seems to be more than just a robotic pet. He seems ... real.